Carpet is what welcomes your guests, and that is where your children and your pets play which thus naturally need your extra attention in your household. A well cleaned and properly maintained carpet tends to last longer than that does not. It is hard to learn the effective strategies for keeping your carpet looking new and fresh for years and more than that it needs specialised skills and high-cost equipment which are hard to reach for ordinary people. If done so, one will also end up in boring your pocket, consuming your time and causing physical strains. Therefore you always need an expert to take care of these things. A1 House Cleaning Service in Melbourne is where you have the best of professional experts at standard rates. 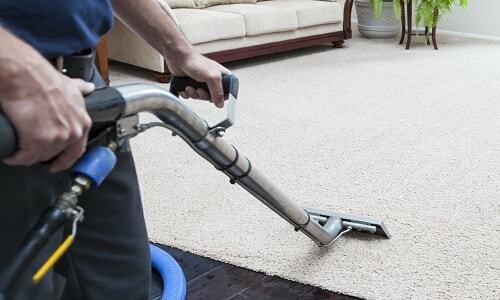 It is always a time to find a professional Carpet Cleaning Services as your household remedies won’t help you for long, and it will look worn. The carpets you use are expensive investment indeed, and thus it is not wise to hand it to a substandard skilled hand. This is time for you to find a reputed quality service and our services are the best in class. There are lots of advantages that one can enjoy in giving it in the hands of professionals. They will make sure that the chemicals they use do not harm your carpet, offer some add-on services for a thorough cleaning and they handle the safety standards better. It won’t be fun if you welcome your guests with stained or worn carpets and none want such embarrassments. Have a high head, broad smile and warm welcome by choosing the A1 House Cleaning Service Melbourne for cleaning your carpet.